Last week I shared my plans for the refresh of my son’s/guest bedroom. This week I’m sharing a little change to the refresh. Of course the stress begins. I am juggling so many things! I braced myself for this upcoming year, that I need to get used to this feeling, especially if I take on all these projects! It’s fun! Honestly, I was confused on what to use for the bedding. I felt a bit rushed last week and I had picked out a checkered fabric for $20 online. When I went to purchase it was sold out. So, back to the drawing board I went. I knew I wanted something that would be bold! Then I stumbled upon a glorious tie dye fabric print. The technique to get this type of tie-dye look is called Shibora. I felt this could be it. It stuck with me all night and there you have it. I am now going with a tie dye topper using white sheets I already have. I am crossing my fingers that it will turn out the way I imagine. To keep the things interesting I am also positioning the same bureau in the bedroom in a different place. The wall is so huge that it needs more bold accents pieces to make it pop. Don’t you love how this bureau looks? It adds a bold, modern statement to this home in Italy, which was featured in Veranda Magazine. 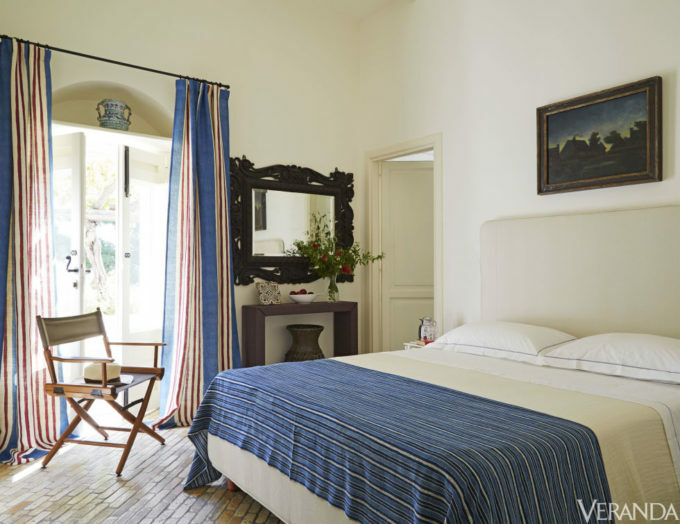 I am in love with this bed topper featured in this international vibed-out room. So I am hoping my idea of a Shibori project ,which is a resist dyeing technique of folding, twisting and binding fabric adds another accent piece I need to make it all work out and give it a similar international vibe! Ok friends, here are the two chairs my daughter did not want, so I decided to utilize. The slip covers needed to be washed. The slip covers were not the correct size but some how I made it fit. So cheers to saving more money! I will be moving the bureau by the bed and putting a small round table in between the chairs. I want to thanks Erin from Lemons lavender & Laundry for organizing this challenge. Please stop by the other gals projects to see what they are up to with there re-do for the $100 Room Challenge. To see week 1 check it out here! Enjoy! 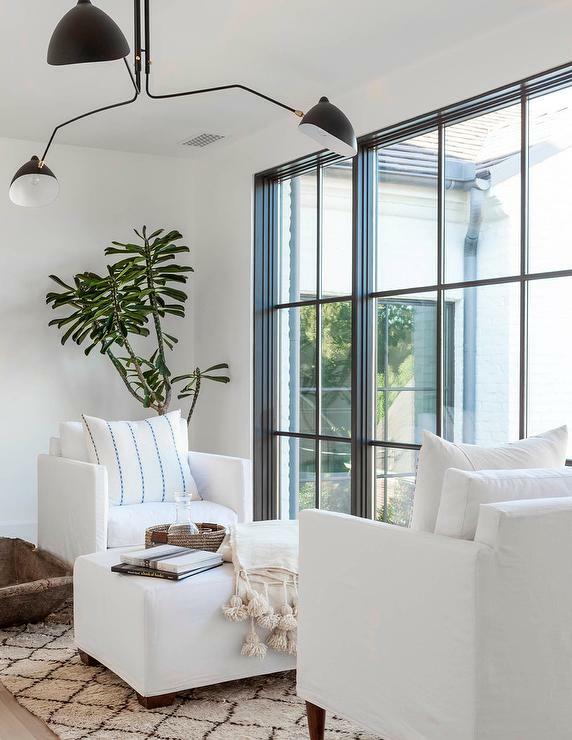 I think those slipcovered chairs are charming! With a throw pillow on each one – they’d look cute! Thanks, its great that they were free! Can’t wait to see it all come together! It’s going to look awesome! I am loving your ideas for this room. The two slip covered chairs are great. Can’t wait to see it all. I love the inspiration photos you shared today and can’t wait to see how it all unfolds! 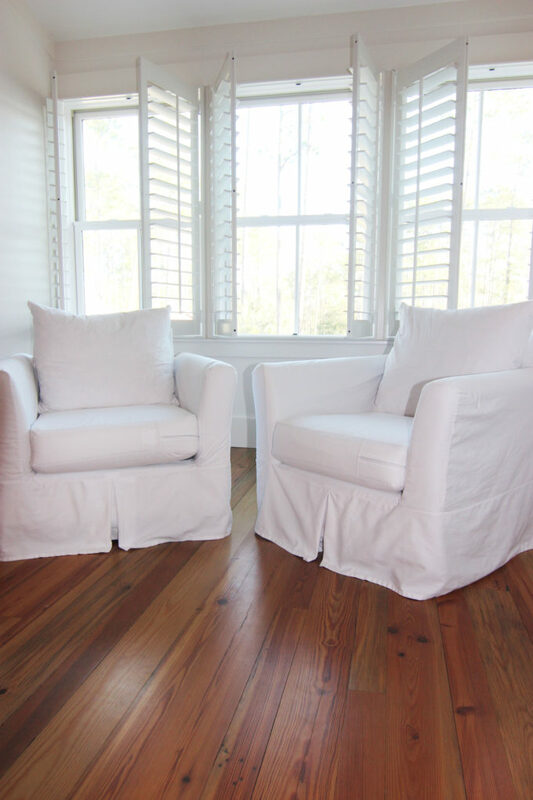 Those slip covered chairs are perfect and are such a blank canvas! I can’t wait to see how your bedding turns out. I was thinking about doing something similar for curtains but ended up purchasing a white scarf valance. The dresser is gorgeous and the chairs too. I would want this room for myself. I can’t wait to see the finished room! I bet your $100 will go a long way! Thanks Sarah! have a wonderful weekend. I love the chairs and look forward to seeing your progress next week! You have some beautiful inspiration to work with! 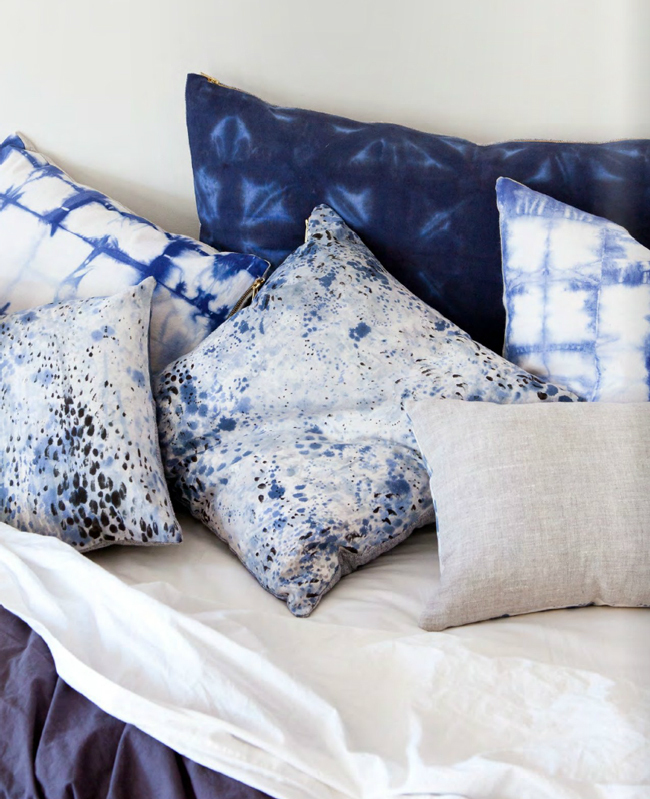 I am such a fan of bold, bright, blue… so those pillows would be something I’d choose for myself! 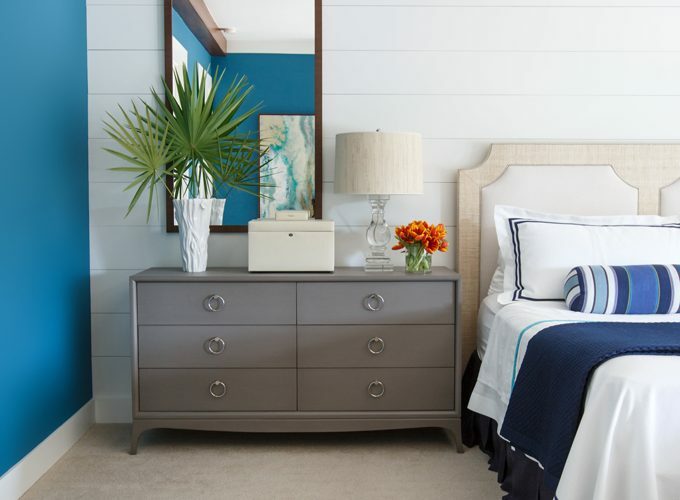 Can’t go wrong with blue and white in any room.. I think the tie-dye is a fabulous idea and the few other places I’ve seen it… it has been very striking. You made a great choice and I bet your son will LOVE it!! Good luck with the dyeing process. Thanks Diane, did my first test today and the color was a bit light will add more color tomorrow. I love those two little chairs! With a bold pillow or throw rug in front of them, they will really pop! Thanks Natale! Yes Im hoping to find some pillows and throw in my own closet that will match my blue and white theme! need to keep budget under $100. Love those chairs!!!! I have one like it. What a score! I love cottage style and adore those chairs. I think they’ll be gorgeous with the Shibora pillows! Yes, I was thinking that, hopefully I get Indigo dye soon, i ised the wrong dye for the throw but it came out pretty good. The sitting corner is going to be awesome. We have 2 accent chairs placed next to our fireplace and it’s my favorite place in the house. I love the sitting area too, we were lucky we changed the plans on this home to add a little more square feet to this room for very little price. All your inspiration photos are amazing! I love the shutters on the windows, so classic! Great inspirations, can’t wait to see it all together! Thanks for stopping by, I truly appreciate it. Have a great week. It looks great! I love the chairs. I can’t wait to see it all come together. Thanks, it was a nice surprise to rescue them before my daughter was getting rid of them. All she had to do was wash the slipcovers! But I guess she is looking for another look for her nursery. I love those two chairs! I like simple furniture accents like that, then you can layer in with color and patterns with other items. I am excited to see this room all done! Thanks Emily, its getting stressful waiting for stuff to finish this project, hopefully it all comes this week. What a score on those chairs! And I love the idea of moving the bureau. Outside of paint, I think rearranging furniture is such a game-changer in a room. Looking forward to seeing how the bedding comes together. Thanks Erin, its been a fun challenge! Its great to re-use other pieces from different part of the house, helps keeps the costs down. Those chairs are great! And free! That’s awesome! Thanks Tracy for stopping by, hope your week is going well. Great ideas! I love your inspiration photos. I love to redo rooms myself. There is something therapeutic about it! 🙂 Good luck!! I love the tie dye pillows! Good luck with your room transformation. Redoing a room is always kind of therapeutic for me. Love it! Thanks, I am getting so worried that kit still has not come from the manufacturer. Yikes less than two weeks to go for the final reveal. So many great ideas! Can’t wait to see this week’s progress. Thanks Kathy for stopping by week 2, thats sweet of you. Can’t wait to see how your Shibori turns out. I love all your inspiration photos. Good luck with the refresh! I am sure you will be able to make a beautiful room, even with the setbacks. Everything came in and I am so excited. Thanks for asking. 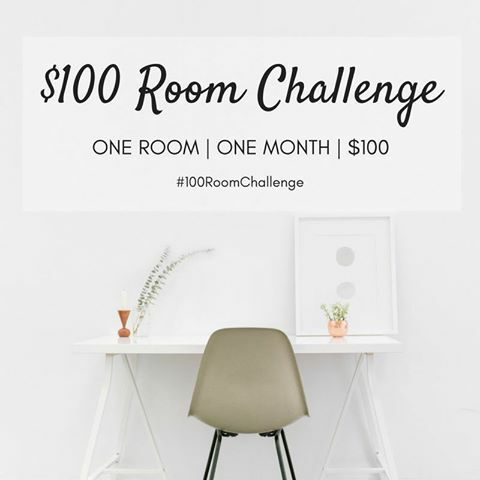 Wow what a great idea to do a room for just $100! I may have to do this for my apartment! Thanks for the idea! Glad you like it! The big reveal is tonight. The slip covers look great and the tie dye fabric is so fun! Thank you for sharing with us at Funtastic Friday! Looks so good! Thanks for sharing at the Inspiration Spotlight party. Thank so much, your party is great, have added you to my party list. Looks so interesting and refreshing my mind, I always decorate my room every 3 months.